Your appearance to all folks, ranging from the general public to your most intimate partner, is received and interpreted both consciously and subconsciously. There can be very significant and powerful responses, even beyond one's conscious perception and awareness. Whether you desire a modest improvement or major correction, porcelain veneers can help immensely. 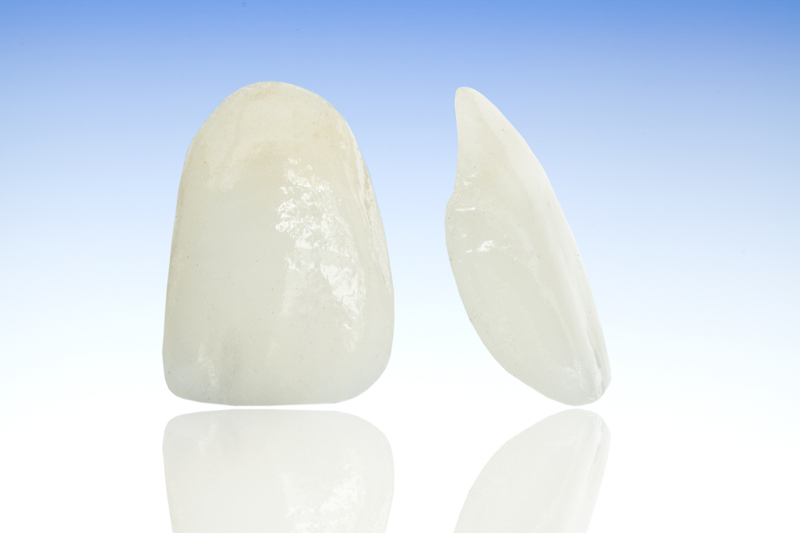 Porcelain veneers are durable, color (shade) stabile coverings over the front visible surface of your teeth. Preparing for & placing veneers is a very conservative process, especially compared to crowns (caps). Some indications for porcelain veneers include badly stained teeth, need to close spaces between teeth, and poorly aligned (crooked) teeth. Advanced Dental Care offers porcelain veneers, as well as many other services at our Providence, Rhode Island ( RI ) office. Request a consultation today by either filling out our request form, or by calling our office at (401) 273-6780.